Family owned and operated since 1939, we are the first registered plumbers (License #1) in the First State. We are a customer centric plumber, with 70+ years experience. Certified in the latest "green solution" in on-demand water heaters , our expertise is in older homes, focusing on updating or repairing custom work done by craftsmen. 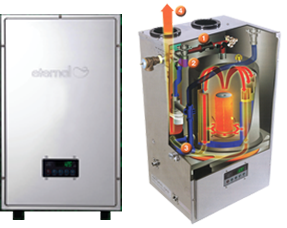 We employ the latest in Hot Water heating technology. We can help you enjoy endless hot water without loss of pressure. Installation is always quick and efficient. 1st Class Service! Timely, Appropriate, Reasonable Price. I have had my many things done by Dauphin's (Furnace replaced, water heater replaced, and various other plumbing repair). I would recommend A.J. Dauphin & Son to anyone that might need a plumber. A.J. 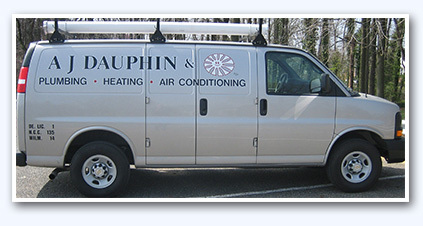 Dauphin had been recommended to us when we needed plumbing services. That was nine years ago. We were delighted with the quality of work performed and we have continued to rely on them ever since. Customer service, particularly responsiveness, is critical to us. Whenever we have a problem, we know we will have it dealt with promptly and effectively. They are respectful of the fact that modern life is busy and they work hard to accommodate us.